The Project Management Lifecycle is kick started with the crucial Project Initiation Phase. The entire basis of why you should be developing/delivering a product, service or an event is formed with the Project Initiation. It is important to note that a Project Manager is duly appointed to the project which also signifies executive intent. In a way he is the first resource assigned to the project. The project manager needs to establish the business case for the project; ensure that the proposed outcome is aligned with the organization’s strategic goals; prepare an initial budget and timeline, and also involve relevant stakeholders, sponsors and identify team members who will work on the project once the business case is approved. Business case is used when expenditure on a project is required. Once a business case is prepared, it is shared to a sponsor or investor for the approval. After approvals are obtained, required resources and funding is also received. What does a business case include? Benefits:- The value to be delivered by the undertaking is clearly defined and shared with the customer, sponsor, stakeholder and team members. The key objectives, strategic gains (operational and or economical), associated profits are well illustrated during initiation for absolute clarity and expectation management. Options:- Options include the alternative and other courses of action that are considered as the project plan is designed and developed. Cost-benefit analysis:- Cost-benefits analysis describes how the cost of project is balanced with the return. For example, due to some specific reason, your project needs some additional resources and some new systems. This is where the cost-benefit analysis is done. It helps justify the additional investment and show the value and or return generated from this investment. During the Feasibility Study, a variety of assessment methods are followed. The outcome of the Feasibility Study is a confirmed solution for implementation. What are the factors that should be considered for testing feasibility? - Technically skilled resources are available: - Having the right mix of resources assigned to the project is important. 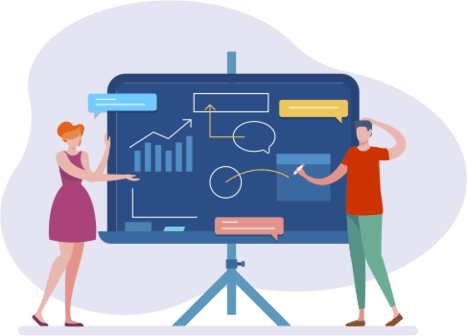 A true requirements to skill mapping is done to ensure the right resources with the right skills are available to meet the project responsibilities. - Required technologies are available:-We must review and define the relevant hardware, software, equipment, licenses, regulatory approvals if applicable etc. are available to deliver the project. - Sponsors should have ample amount of capital to invest: - Even if we have sufficient amount of resources and required technology, we must have the required investments to maintain the resources. It is crucial that we have the sponsor buy-in for the execution of the project. Unavailability of the required funds will lead to project delay and or failure. - Will the investment generate the Targeted ROI? : - Projects are meant to generate capital benefits or business value to your organization. So it is important to analyze whether the investment to the project will provide business benefits to your organization. - Contingency Funds: -Our project budget must also have certain contingency fund allocated. And we need to see how big that bucket is and if that is enough to bail us through any significant issues or risks. - Data protection or social media laws: -It must be ascertained that no data privacy laws are breached for e.g. while dealing with data sensitive projects. Any associated non-disclosure agreements etc. must be thoroughly reviewed and put in place as applicable to the undertaking. - Zonal laws: - If we are planning to construct a mall in a place, we need to check whether the zone has the required permissions to build malls. A feasibility study might reveal the organization’s ideal location isn’t zoned for that type of business. This assessment involves undertaking a study to analyze and determine whether—and how well—the organization is benefited by completing the project. Operational feasibility studies also analyze how a project plan can satisfy the requirements identified in the analysis phase. This assessment is the most important for project success. After all, a project may fail if it is not completed on time. In scheduling feasibility, we estimates how much time the project will take to complete and also we need check whether do we have estimated time to invest in the project. Project Charter contains the objectives of a project. This statement also sets out detailed of project goals, roles and responsibilities, identifies the main stakeholders, and the level of authority of a project manager. It also acts as a guideline for future projects and is an important material in the organization's knowledge management system. 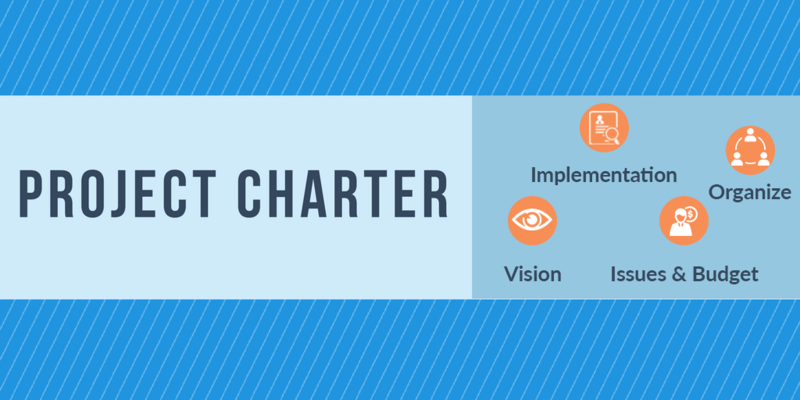 How to write project charter? Vision:- You need have a clear idea on the scope of the project. Describe each of the deliverables the project is tasked to produce. Once you’ve gotten all of them down, you’ve got a foothold on your charter and are ready to move on. Organize:- When you’re building a structure for your charter there are four subsets you’re going to need to identify. They are Customer/end users, stake holders, roles. Now you need to define the lines of reporting between these various roles in the project. Use a project organization chart to do this. Implementation:- Once vision and organization structure is defined, now we need develop a plan to implement them. While implementing, a plan we need keep 3 factors in the mind-they are Milestone dependencies and resource. We are going to learn more about this in the Initiation module. Risks, Issues & Budget:- No charter is complete without covering the potential risks and issues that can derail a project. This includes assumptions and constraints related to the project. Risks can be natural, man-made, governmental and regulatory. A risk is a potential issue that may or may not happen in a project. Risk is not always negative, as there is such a thing as positive risk, and you should prepare for that as well. An issue is something that has already occurred in the project. Basically, a risk is a "perceived" issue and an issue is "an event with a negative impact" that has already occurred. According to Wikipedia, a project team is a group of members from different functions and are assigned to activities for the same project. A team can be divided into sub-teams according to need. Usually project teams are only used for a defined period of time. They are disbanded after the project is deemed complete. 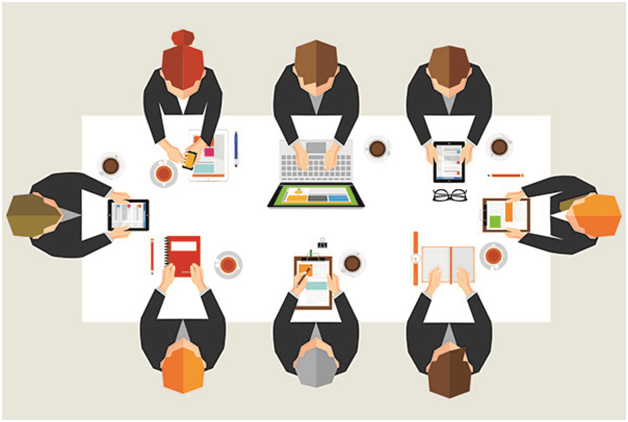 Due to the nature of the specific formation and disbandment, project teams are usually in organizations. Project teams need to have the right combination of skills, abilities and personality types to achieve collaborative success. Always strive to strike balance with the resource mix. You may not always have all the top talents available for your projects. Even if they do, it will highly skew your resource cost thereby stretching your budget. Being a smart Project Manager, you must ensure you have the right Subject Matter Experts (SMEs) available to the project when needed plus enough resources who can execute under the guidance of the SMEs and leads. Right mix of experience and energy is what you must aim for a project team! Know your Customer (KYC) – There is no alternative to it. Before beginning any engagement we must spend considerable efforts and thoughts to understanding our customer. He is the one paying for the project and will sign on the project closure. Be very clear of how your clients like to be approached, informed and what is their desired communication mode and frequency. Plan to put your seasoned client management personnel at the forefront for exceptional customer support and satisfaction. Having personnel who have worked with a diverse clientele and can anticipate customer needs in advance would prove hugely beneficial to the project manager. Experience counts and so does passion. Age doesn’t alone determine experience. Some people may have worked across several roles making them great multi-tasker while others may have specialized in one specific area making them your subject matter expert. We need to determine review criteria to evaluate each completed project task and inform team members of expectations regarding satisfactory performance. We also need to secure additional project personnel if your review reveals the need for additional resources to work on assignments to bring the project to completion on time. Now to get going with your project planning refer to the upcoming chapter.